Treat someone special in your life to a Date Night at The Chubby Cherub Ristorante! Enjoy a two-course meal for two people and a glass of wine each for just only £29.95 per couple. 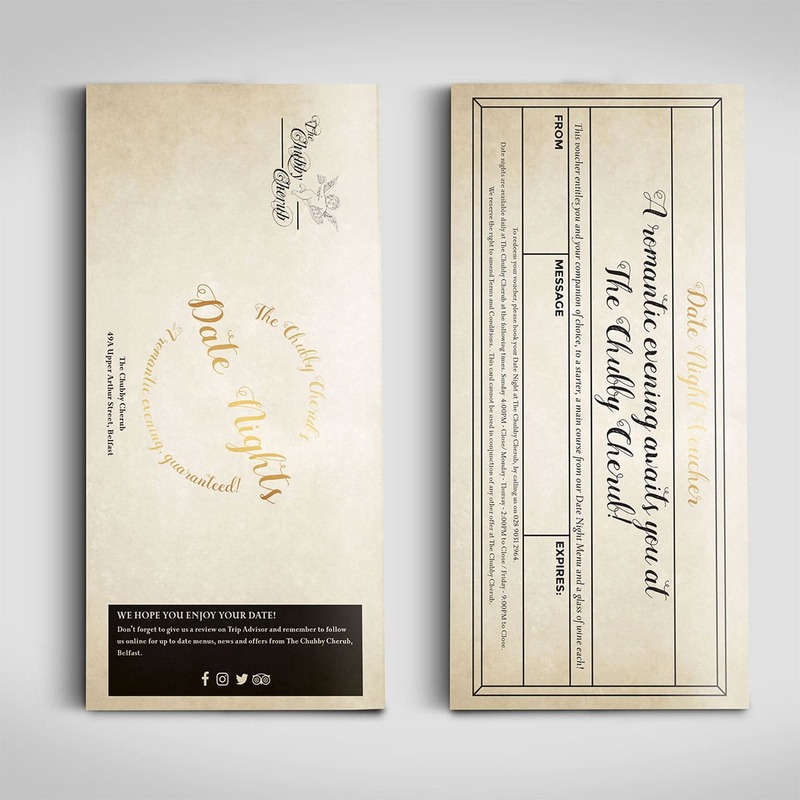 To redeem your voucher, please book your Date Night at The Chubby Cherub, by calling us on 028 9031 2964. Date nights are available daily at The Chubby Cherub at the following times. Sunday 4:00PM – Close/ Monday – Thursday – 2:00PM to Close / Friday – 9:00PM to Close. We reserve the right to amend Terms and Conditions. This card cannot be used in conjunction with any other offer at The Chubby Cherub. Not Redeemable in December.